Halloween 2017 is almost a month away now, and the dress-up game is getting harder with the squad expanding, but still doable. Queen B, goes queen Barbie. How To Train Your Dragon with Jared Padalecki and his family. The oldest Kardashian sister tried "Uniting the League" for Halloween. Princess Leia, Luke Skywalker, and a "yawning" Yoda for Halloween. Batman, Batgirl, The Joker, and The Riddle. P!nk and her family went "extraterrestrial" for Halloween. Shakira, Pique and their little ones all dressed up as Topo Gigios for Halloween. 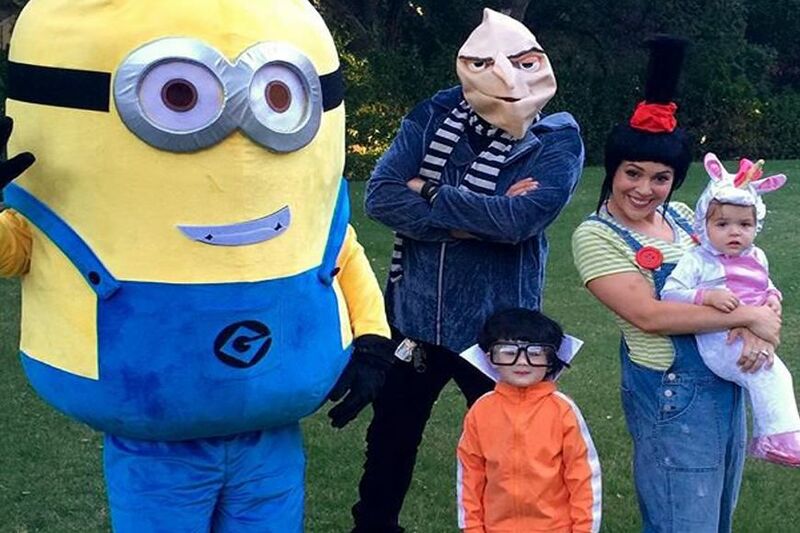 The American actress and her family dressed up as "Despicable Me" characters. The adorable actress and her little one dressed up as Woody and Buzz from Toy Story.